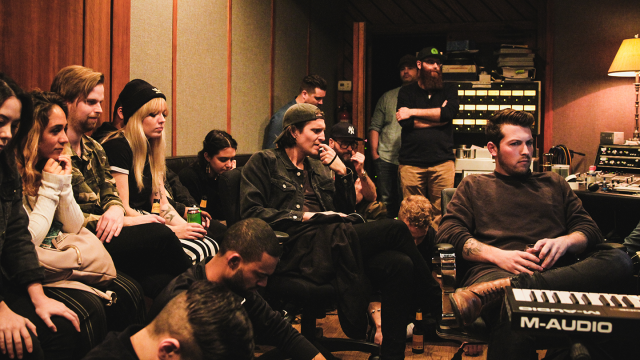 Each year in the run up to the SXSW Music Festival, a select group of songwriters and producers from around the world gather at Austin’s Arlyn Studios for the annual SXSW Songs writing camp, presented by ASCAP. Held March 13 from 6:00-8:00pm at the Townsend, the SXSW Songs Listening Party is the official playback event featuring the songs written during this year’s 3-day event. Step inside the room with the participating producers, topliners, artists, and industry execs, and join this dialogue dedicated to the songwriting community. Following the listening party, stay for showcases by SXSW Songs participants presenting their final projects. In 2018, four of our camp writers produced a song which was recently released in season two of Canadian reality music competition, The Launch. Executive producer Scott Borchetta — famous for discovering Taylor Swift — and his team picked up “I Got You” for featured artist, Olivia Lunny. The single hit the Spotify New Music Friday chart, and will go to Canadian radio this week. With yet another incredibly talented roster this year, we can’t wait to see what SXSW Songs creates. See you there! Special thanks to the SXSW Songs presenting sponsor ASCAP and supporting sponsor Symphonic Distribution.